Ebony, and one off in African Blackwood with beautiful sapwood transition. The full range, all hand made by Chris Vesper. 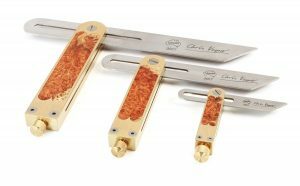 These Super Premium marking knives are hand made by Chris Vesper himself. Available individually or in sets usually ex stock, or to order. 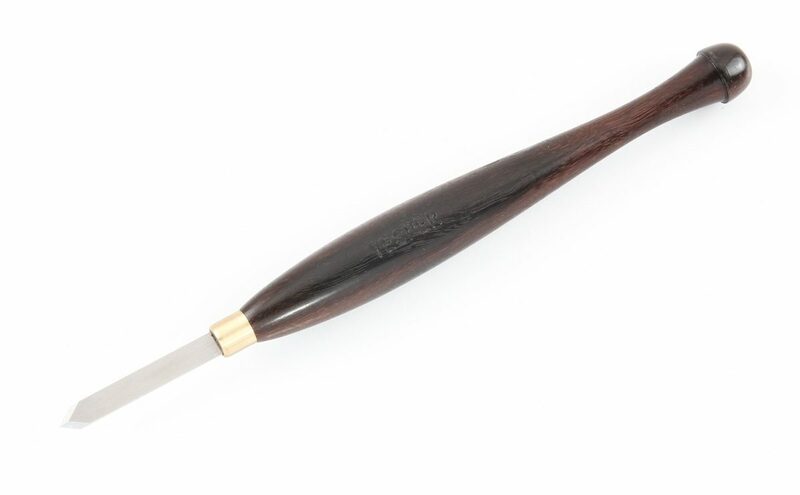 Hand sanded to between #2000 to #4000 grit depending on the timber, fancy hand turned brass ferrule of unique design that flawlessly blends into the upsweep of the handle, engraved with year of manufacture on the handle. 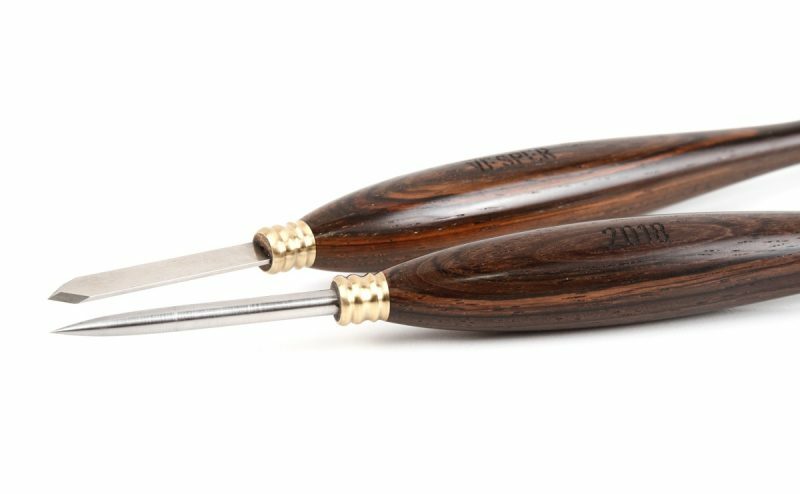 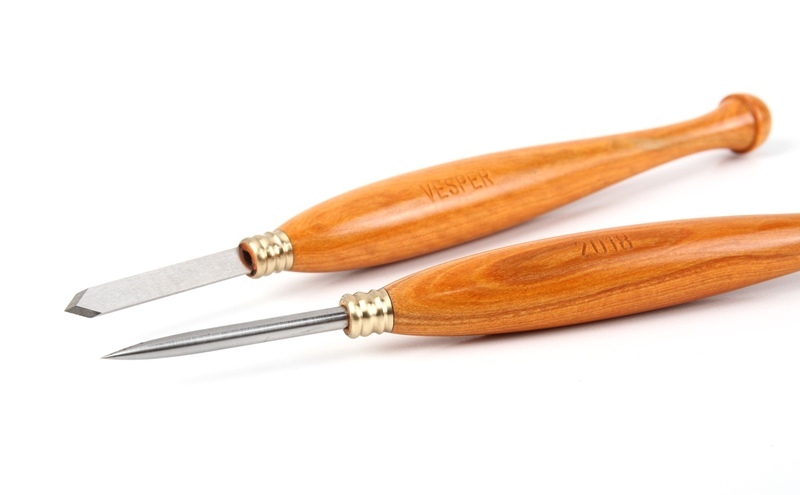 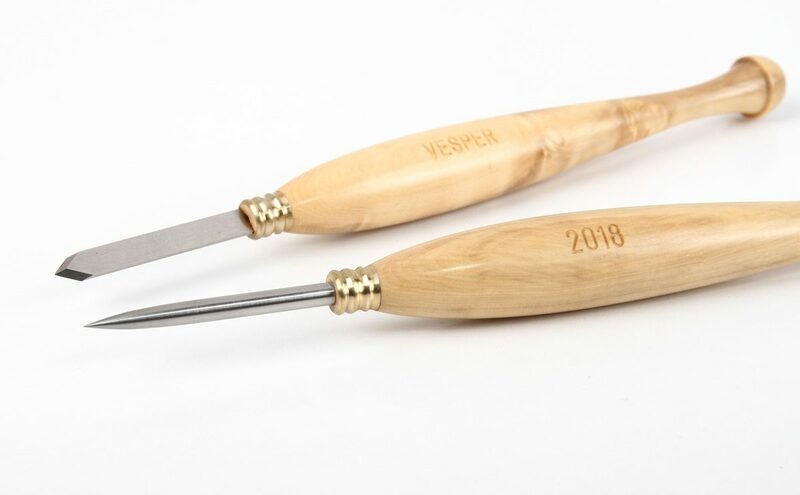 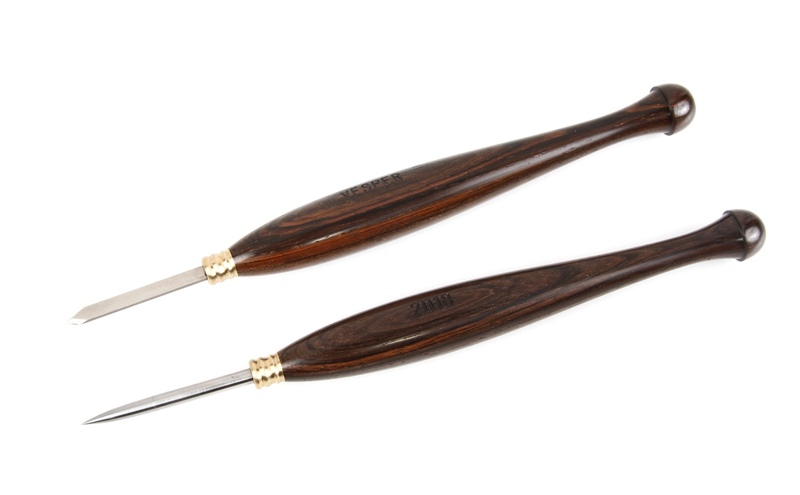 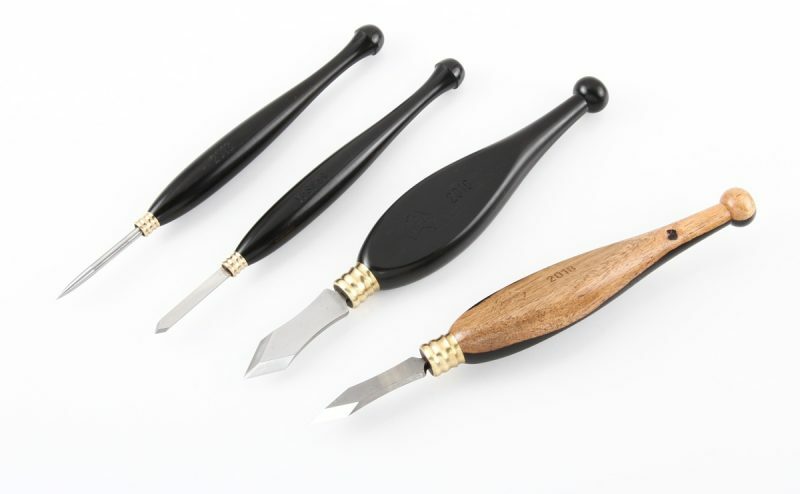 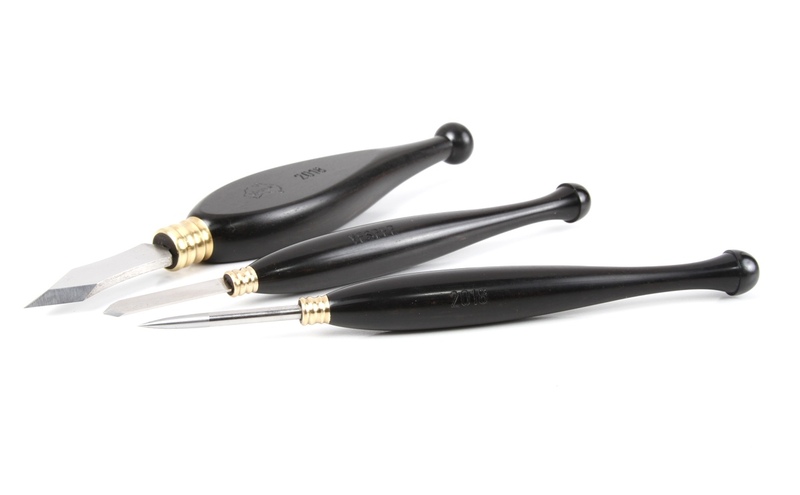 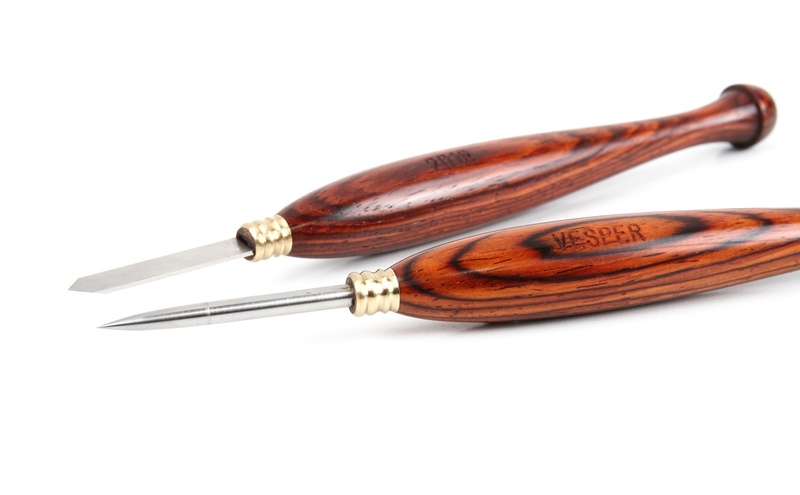 These Super Premium knives are the ultimate level of quality produced by Vesper Tools. 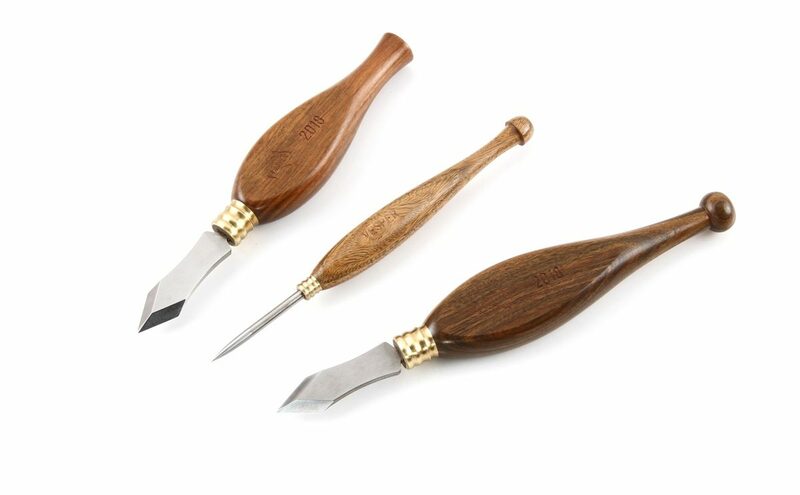 If you want simply the best tools available you have found them. 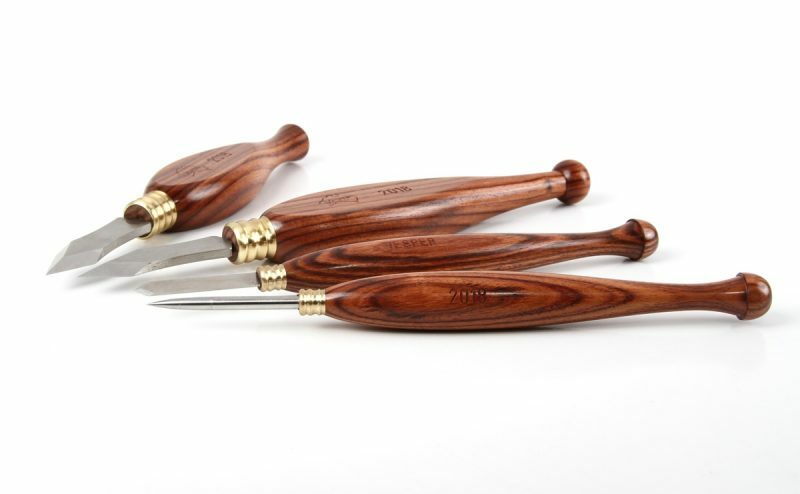 Hand polished with several coats of shellac gives them a beautiful feel and finish. 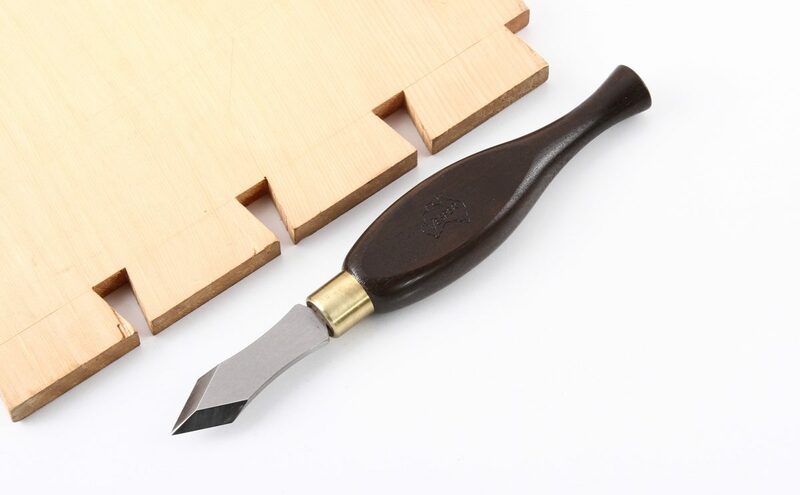 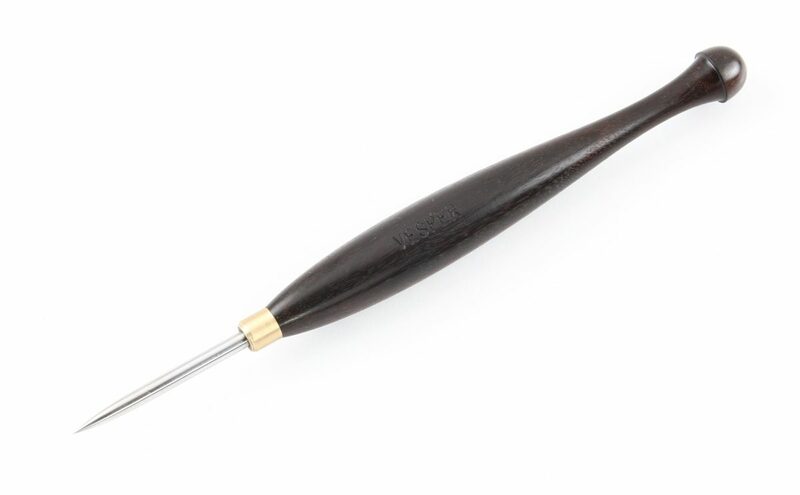 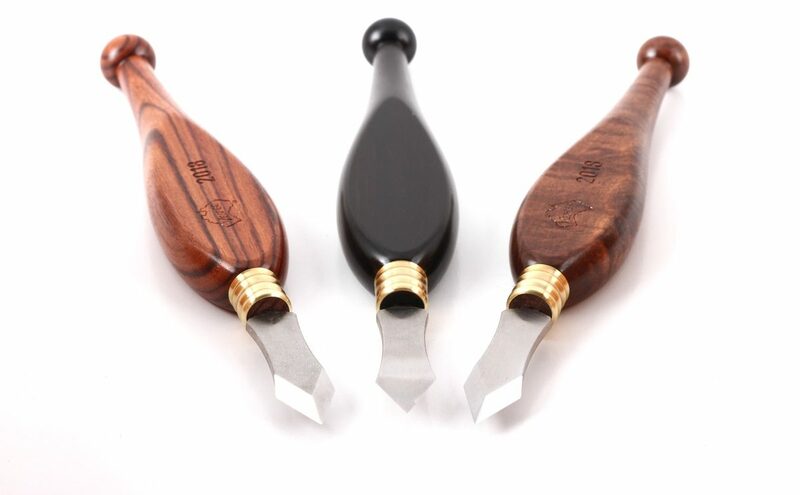 Across the range of Joinery Knife, Joinery Knife MINI, Cohen Knife and Cohen Awl you will find the ideal tool for your joinery and woodworking marking out purposes. 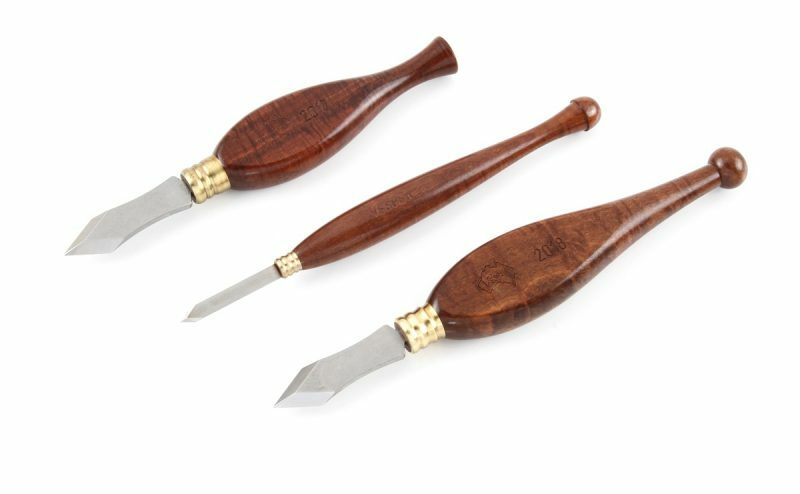 The knives have arrow head blades made from either 01 Tool Steel, or HSS. 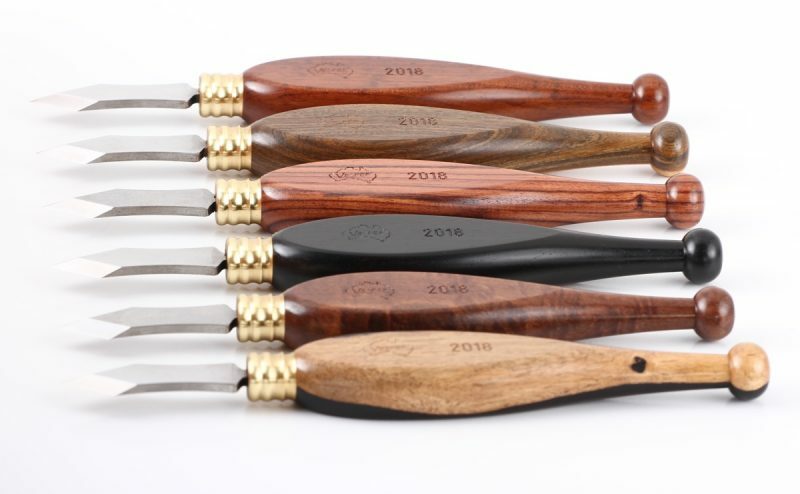 They have a flat back and a beveled front much like a chisel profile. 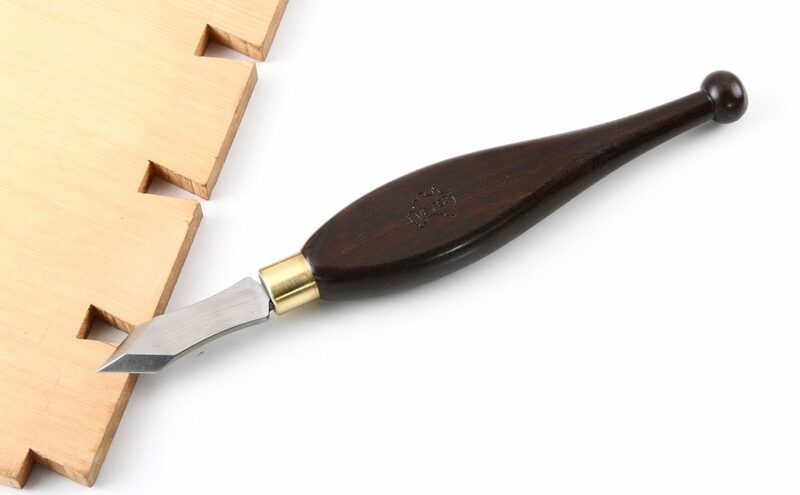 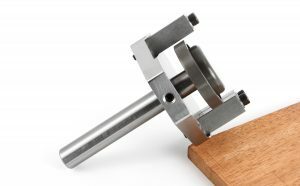 In use that flat face goes vertically against your square, bevel, or ruler blade for marking to ensure the line goes EXACTLY where you want it. 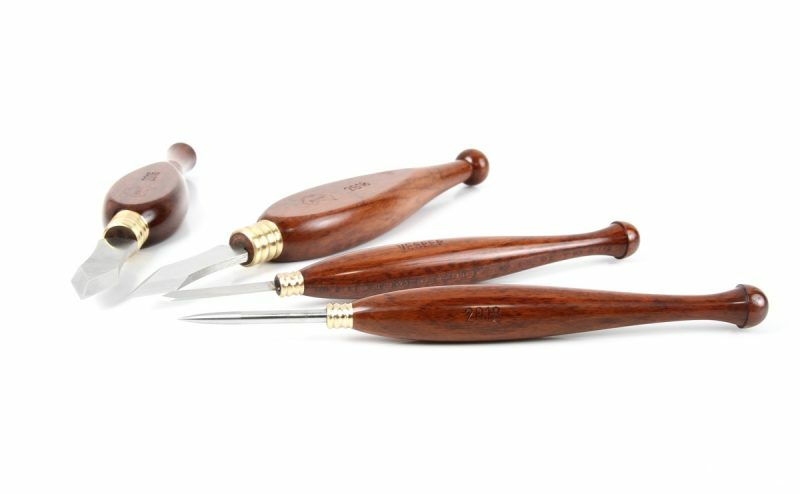 Ringed Gidgee, Conkerberry, Lignum Vitae, Snakewood, Boxwood, Ebony, and other Australian native or exotic species are available. 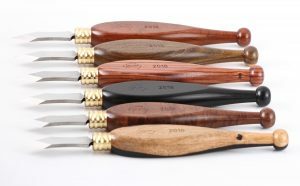 Chris Vesper considers these as elite and usually extremely rare and expensive timbers and are only available in the Super Premium range. 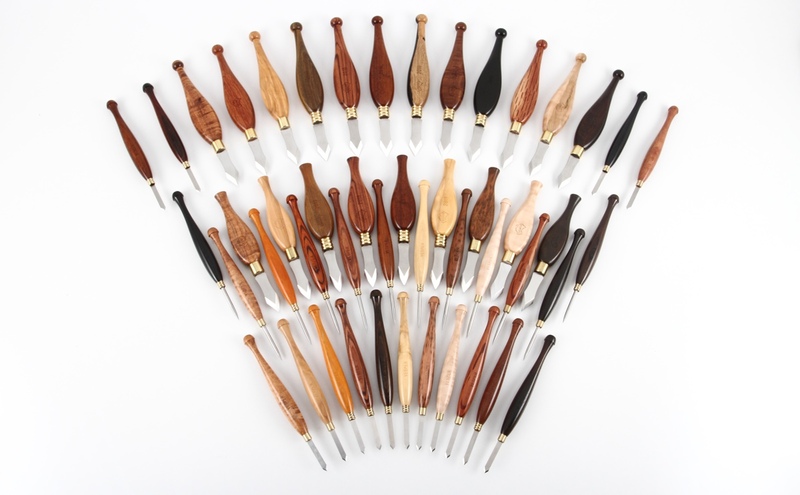 Also check out the TIMBERS page for more photos and information on various amazing woods.